The flu season is not yet in full swing, but more than one-third of U.S. parents already plan to skip flu shots for their kids this year, according to a report published Monday by C.S. Mott Children’s Hospital of the University of Michigan. According to the study, 34 percent of parents are “unlikely” to get the flu vaccine for their children. 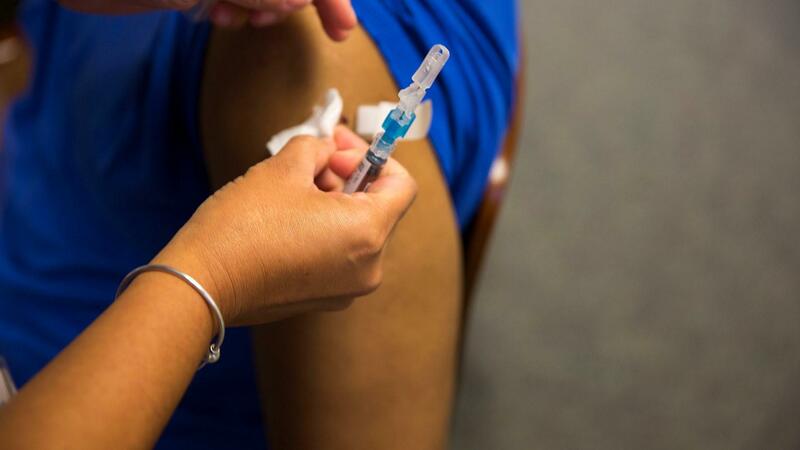 Of the 1,977 parents polled, 48 percent said they usually followed the recommendations of their child’s health care provider when making choices about the flu vaccine. However, 21 percent of those surveyed did not remember their health care provider making a recommendation about whether their child should receive a flu shot. Polled parents listed their top three concerns with flu vaccination, including it side effects, effectiveness, and a belief that their currently healthy child does not need to be vaccinated. “That’s an incorrect assumption. In fact, many children would die from influenza otherwise healthy,” Rathore noted. He said after Florida reported the first child death from the flu last month, nobody should take this season lightly. While he acknowledged the imperfection of flu vaccines, Rathore said getting the vaccination can reduce the chances of the flu and also make the symptoms less severe. Influenza killed about 80,000 people in the United States in the 2017-2018 season, according to figures released by the Centers for Disease Control and Prevention. Children accounted for 179 of those deaths. The CDC reported that 80% of the children who died were unvaccinated. Flu season usually starts in October and peaks around January or February. The CDC recommends everyone over the age of six months get a yearly seasonal flu vaccine. In addition to getting vaccinated, it’s recommended that you wash your hands often for at least 20 seconds with soap and warm water.